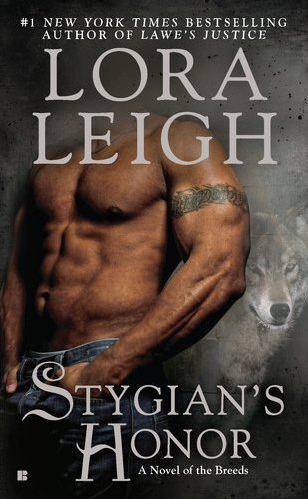 Stygian’s Honor, is the 27th book in the Breed series by well known author, Lora Leigh. The story continues with the breed society trying to find answers to what is happening to Amber, the daughter of Jonas, the director of the breeds and his mate, Rachel. Amber was injected with a mysterious serum when she was a young infant and has suffered severe side effects since. Following many leads they have found themselves at the doors of the Navago Nation searching for two missing teenage girls, Faith Corrigan and Honor Roberts. There has been no trace since their disappearance, but the breeds know that the council are after the missing girls as much as Jonas wants them found. Jonas believes they hold the answer to the cure needed for his much loved daughter. Gideon, one of the breeds that was trapped with the teenage girls is also hot on their trail and in a race against time to see who will find the girls first. Liza is the Navago Nation representative and Stygian Black is the breed that has been given the task to find Honor Roberts. When they meet there is an instant attraction and the more time they spend together they hotter the setting becomes. I loved the character of Stygian Black. He was the usual strong and dominant male breed, but also showed just how in sync he was to his mate. As Stygian and Liza delve deeper into the missing girls disappearance while fighting the mating heat they finally find some of the answers they have been searching for. 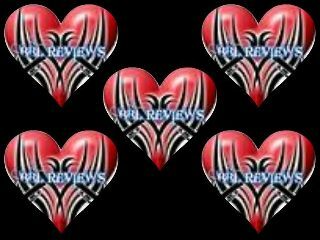 As usual Lora Leigh doesn’t disappoint when it comes to sexiness, intrigue and an added little bit of humour. Each time I have finished one of her books I find myself yearning for the next instalment and wondering which character will be brought to life for us. Don't forget to check out other titles in The Breeds series on her website!